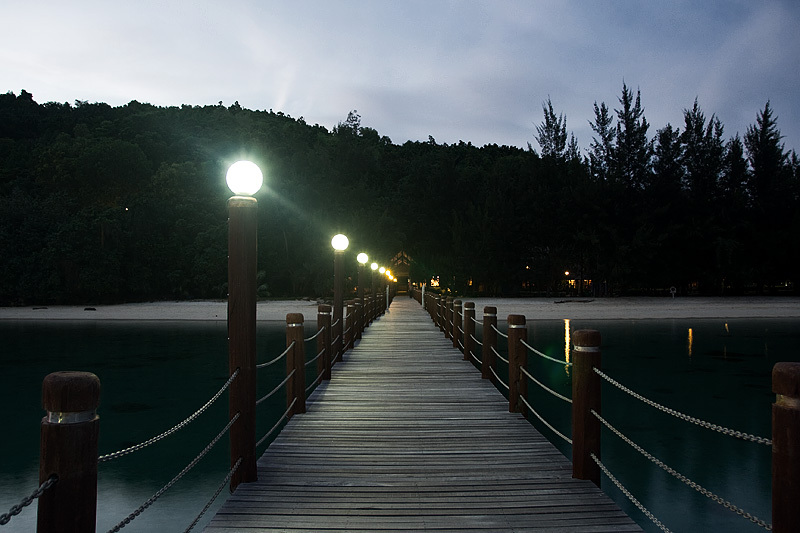 A pier at dusk leading to a resort's reception desk. After sunset-only photos, the most cliche photo, in my opinion, is the straight pier shot. These photos were taken early in my photography career when I mistakenly thought the world would be a better place with several more photos of piers. In the years since, I've seen all manner of brainless pier photos such as these cluttering up the internet alongside brainless sunset/sunrise photos. Not an ounce of creativity went into the production of the photos on this page. You've been warned. 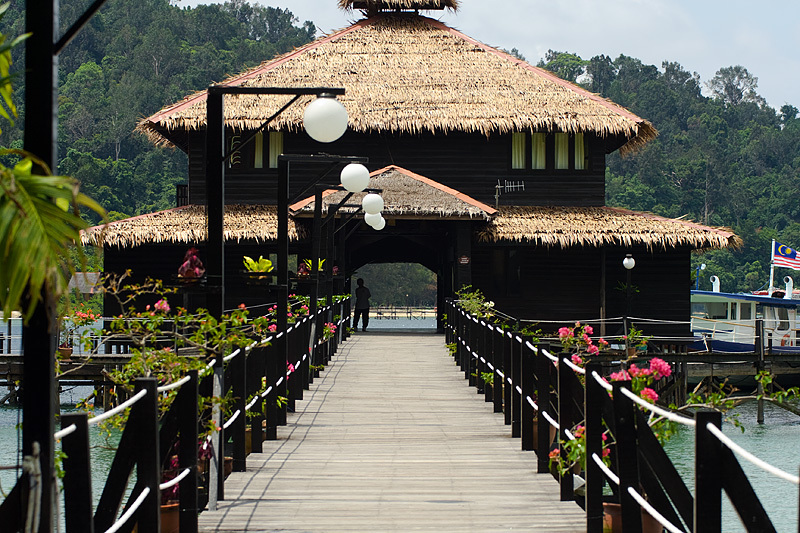 A resort on stilts offers up another pier to photograph. la dee da. la dee da. Please move on, there's nothing to see here. 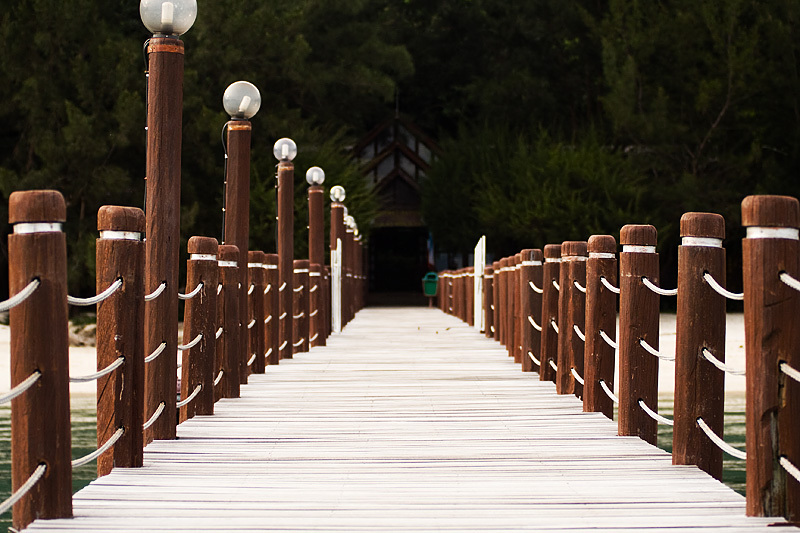 The same pier as the first but now lit by natural radiation from the sun. I feel shame asking for your vote after this lackluster performance but here's my spiel anyway.